Royal Enfield has been the oldest motorcycling company in India. The old thumpers have a charm of their own. The leaky engines, the heavy bass of the exhaust and the shiny metal make it a style quotient. But over the age, the Enfields have taken different shapes and forms. Now there are different kinds of Royal Enfields for different types of owners and also different types of usage. We bring you seven kinds of Royal Enfields that are currently available in the market to tell you which one is best suited for which terrain and owner’s personality. This is the oldest form of Royal Enfield and it has stayed like this for decades. Minor engine changes and even smaller changes to the designing makes it a perfect vintage motorcycle that you can buy as a brand new product from a showroom. The Royal Enfield Bullet is the best choice for people who have lived through the era of 2-strokes and have ridden amongst those timeless designs of RD and Yezdi. The Bullet is a date with history, it takes you back to the time when everything was so simple and “fill it, shut it and forget it” was not the only thing riders cared about. It is the only Royal Enfield that comes with the Royal Enfield emblem on the tank. It is powered by a 350cc and 500cc engine and has the real feel about it. The Bullet is best for the city commutes during the holidays. You ride your pride with the Bullet. 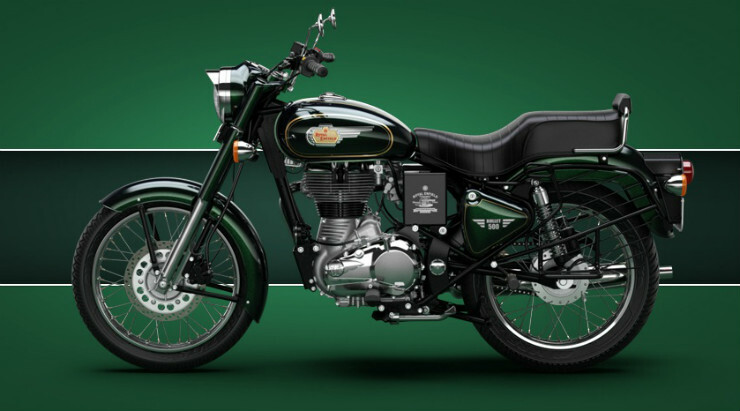 The Royal Enfield Classic is a Bullet but with a touch of modernity. The Classic is like a grand dad who has just discovered Louis Vuitton. The motorcycle looks new age yet has a nostalgia about it. The Classic comes with many unique colours like Desert Storm, Battle Green, Squadron Blue and of course, good old chrome. If you are one of the hippies who love the 80s music but listen to it on the iPod. The Classic is the perfect example of new-age technology induced in vintage form. It also gets the similar engine options as the Bullet and is best for riding inside the city limits and for occasional midnight runs to the adjacent city to fulfil the craving for food, road or FUN. 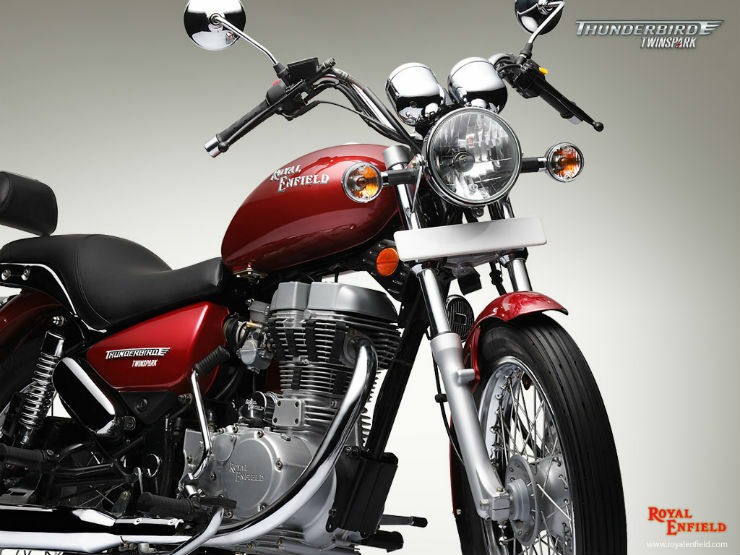 The Thunderbird is one of the first cruisers to be in the Indian market. It is an amalgam of the retro looks of Bullet and comfort of a cruiser. The long wide handlebars and the soft supporting seat will hold you and take you closer to the horizon with every thump that it makes. The Thunderbird is also available with similar engine configurations like the Bullet and the Classic. It is best for long distance touring but given the weight of the motorcycle, it is not recommended on the twisties of mighty Himalayas. Yet people are seen on the Thunderbird crossing unending water streams and sand because of the low torque of the engine, which makes it very easy to ride in such terrains with heavy luggage. 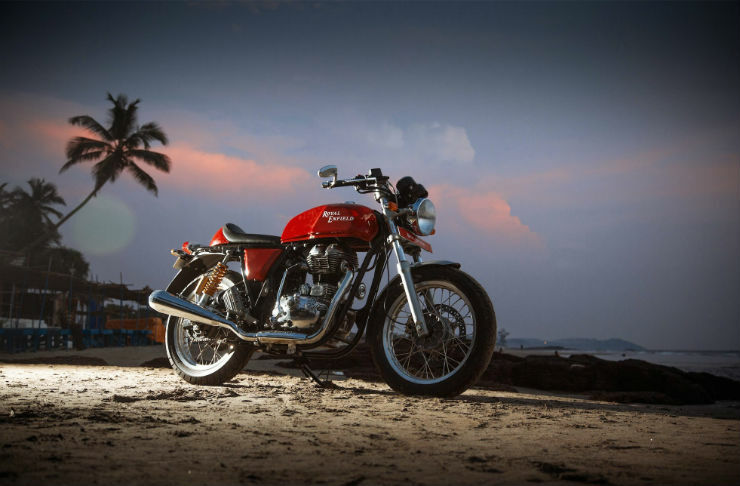 It is yet another first from the Royal Enfield for the Indian market – a twin cylinder made-in-India cafe racer. The cafe racer styled motorcycle looks funky and comes with a single seat with an option of two seats (but that ruins the look of the motorcycle). The catchy colours of red and yellow make it a highlight among the sea of two wheelers that we go through in traffic. The Continental GT is one unique motorcycle and is powered by a new 650cc engine. It can’t be ridden for long trips given its riding position but as the name suggests, the Cafe Racer is best to hop between the Cafes and finish your hot latte while staring at the beauty that you own in the parking. This is the latest kid with the Royal Enfield badge. It is the most modern a Royal Enfield has ever become. It is an all new design, which looks weird in a way but is super practical. The Himalayan has been thoroughly tested in different terrains and it also gets an all-new engine. The 411cc single cylinder air-cooled engine generates a peak power of 23 Bhp and it is the lightweight body is capable of taking you around the mountains with all your luggage hung in the rear. 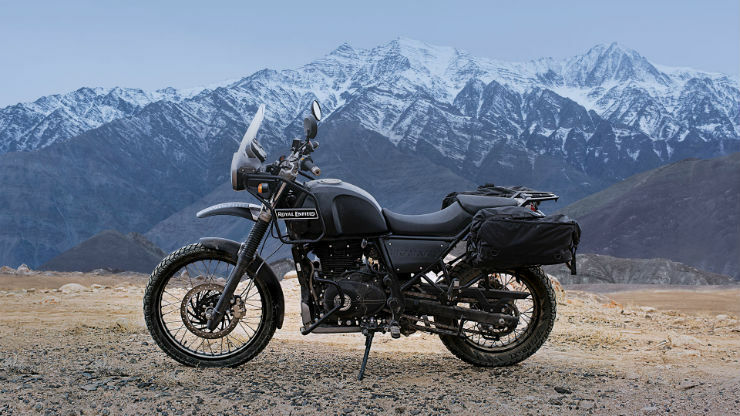 The Himalayan also has comfortable seats and pannier to tie your saddlebags, bars to tie your oil jerry cans and a compass in the speedometer console. It is the best Royal Enfield to ride if you are aiming for the mountains. It is for the young riders who want to complete their Himalayan dream and want to graduate to an adventure motorcycle later in life. 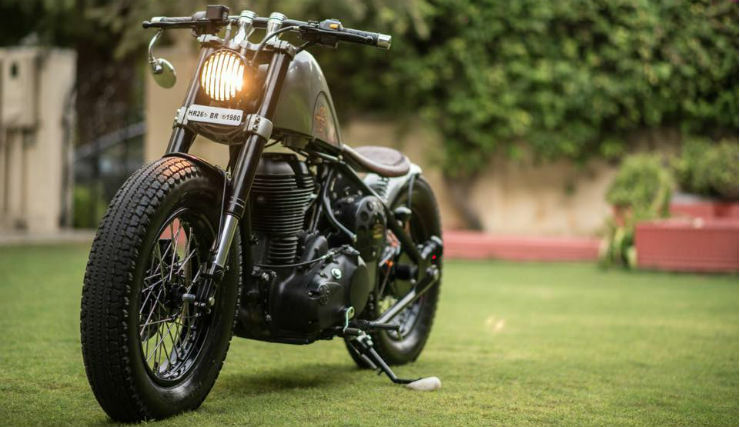 Royal Enfield motorcycles are easily one of the most modified motorcycles in India. There is a vast list of modifications and customisations that can be done on any Royal Enfield. The newest motorcycle, Himalayan has even received an engine swap. There are good customisers of Royal Enfield motorcycles through the length and breadth of the country. You can change the whole look of the motorcycle to convert it into a chopper or can go for subtle yet power modifications for your motorcycle. Many people add panniers to carry their luggage easily over long distance but we are talking about turbos and re-shaping the whole body of the Enfield. Seen above is a customisation done by Royal Enfield itself. The Classic 500 based modified job receives a turbocharger and lowered front suspensions among other modification. It gives the motorcycle a character while keeping the Royal Enfield DNA alive. There are many custom houses in India like the Rajputana customs who transform your Royal Enfield into something of its own, something more wicked. Here is an example by Rajputana customs that has completely transformed a Royal Enfield motorcycle into a laid back cruiser/cafe racer hybrid. Even though modern Royal Enfield motorcycles are very close to the motorcycles they have evolved from, a lot of things have changed. 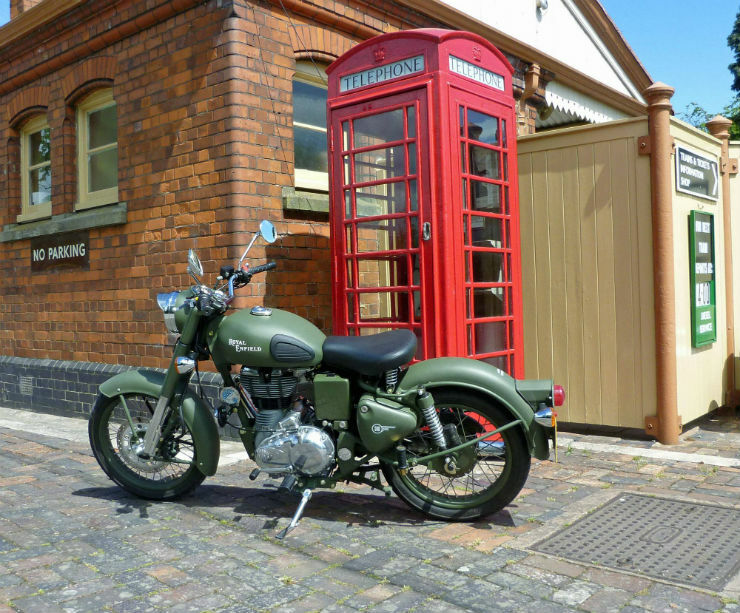 The modern Royale Enfield motorcycles do not have the charm of the older models like the cast iron Bullet. 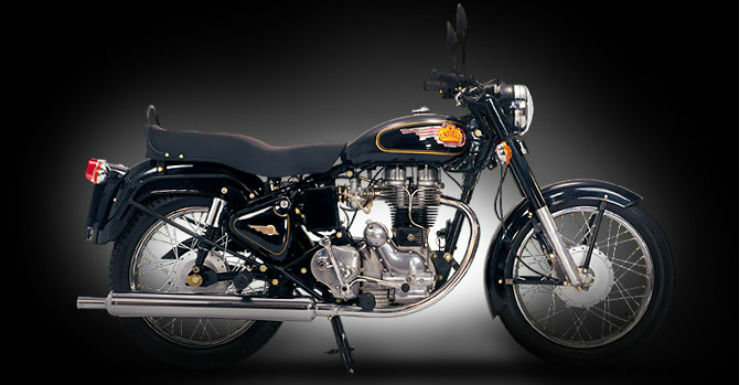 Many Royal Enfield enthusiasts and lover still swear by the cast iron Bullets. The right hand side gear shifter was one of the most unique character of the Bullet and it always took a veteran to ride the Royal Enfield properly. The cast iron Bullet also had the steel monogram of Royal Enfield and also has few immaculate, properly nerd-only features like CB point ignition. Even though the cast iron Bullets are not as sturdy or dependent like the modern ones, they sure have a charm that can’t be replicated with the new generation of Royal Enfield motorcycles.